We are Jessie & Jason Emeric, a happily married couple photographing romantic destination weddings + elopements in Las Vegas + Worldwide! We're so happy you found us! 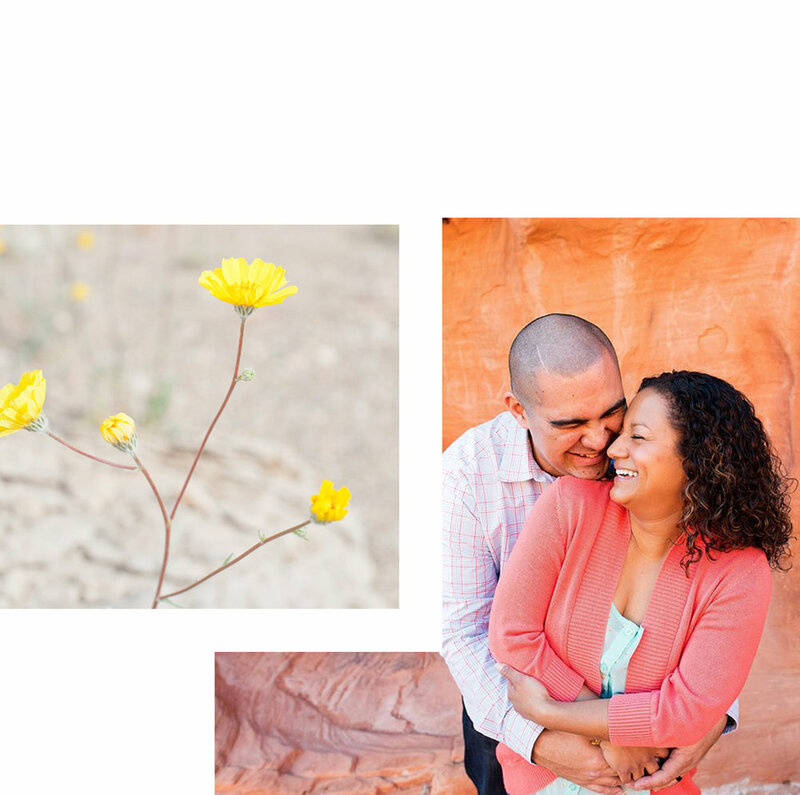 We photograph carefree couples who love big belly laughs, adventures, and romance! If this sounds like you, then grab a cup of coffee or better yet, a glass of bubbly and stay awhile! We can’t wait to meet you! Want to know more about us? Great! Just click below to check out a few of our favorite things! Hi! I’m Jessie and together with my husband Jason, we are The Emerics. We are west coast wedding photographers based out of Las Vegas, and will travel anywhere for a great wedding. We believe in living life to the fullest, that champagne shouldn't just be for special occasions, and exploring new places should be done often. We made Las Vegas our home in 2008 and have embraced desert living. We photograph weddings together, we're raising a family together, we travel together, we dream together. Being together is the best place to be! We're passionate about wedding photography because we love to connect with couples in love. We believe you deserve beautiful photos to go alongside your beautiful love story and we want to be the ones to create those for you. We don't just want to take pretty pictures on your wedding day, though. We want to be part of the experience. We want to get to know you as a couple, get to know what you like and what you're passionate about. We’ll use what we know about you to then document your wedding day in a fresh, fun, and authentic way that is true to you. You don’t have a cookie-cutter love story and your photos should be either! Your wedding day is about telling the world you found your soul mate, the one who knows your quirks and loves you for them! Who better to capture your day, than the two of us?!? We get it. We know what it’s like to find THE one and never want to let go. Let’s get started and create something beautiful together! Whether you're planning a grand affair with lots of guests, an intimate soiree with a few of your favorite people, or just the two of you at an epic location, we'd love to be the ones who get to tell this part of your love story. All wedding collections include both Jason + Jessie, digital images, and a guaranteed great time! Join us on Instagram where we share our latest work + adventures in love! Ready for the next step? Want more info? Simply fill out this contact form we’ll get back to you real soon! Feel free to call or send us an an email if you prefer! We want to hear all about you + your wedding day plans, the more details the better. Let’s get to poppin’ that champagne, shall we!